Tallahassee, FL—On January 27, 2011, the Leon County Sheriff’s Office responded to the Wolf Creek Subdivision in regards to a mother returning home and finding her 20-year-old daughter, Laqecia Herring and her 17-year-old son, Sterling Conner Jr. deceased. Both victims were found in the livingroom of their two-story townhome located in southwest Tallahassee. As a standard protocol, the crime scene was roped off as officials conducted their investigation. Several officials with the Leon County Sheriff’s Office reported Detective Don Odham as to having located the Laqecia’s cell phone in an upstairs bedroom tucked between a wall and a mattress. In Detective Don Odham own reporting, Don Odham notes that he, himself located Laqecia’s cell phone. There is an evidence form filled out by Detective Don Odham logging Laqecia’s cell phone into evidence. So why then, during trial, did State Prosecutor Jack Campbell ask Leon County Sheriff Sergeant Brian Pearson, if he’d located a cell phone at the crime scene? And why then, did Sergeant Brian Pearson answer, “Yes”? Detective Don Odham drafted the Summary of Offense for Two Counts of 1st Degree Murder and Probable Cause charging 17-year-old DeShon Thomas with murdering Laqecia and Sterling. DeShon Thomas pled INNOCENT! Detective Don Odham signed the Complaint charging DeShon with murders. Without Detective Don Odham’s reports and documents, Chief Assistant State Attorney Georgia Cappelman would not have been able to get a Grand Jury Indictment against DeShon on Two Counts of 1st Degree Murder and Possession of a Firearm by a Juvenile Delinquent. Detective Don Odham played a HUGE role in DeShon being charged with the murders. So again, why then, did Leon County Sheriff Larry Campbell’s son, State Prosecutor Jack Campbell, who approved the Summary of Offense for Two Counts of 1st Degree Murder and Probable Cause report that Leon County Sheriff’s Detective Don Odham drafted and filed—why during DeShon Thomas’ trial, did State Prosecutor Jack Campbell ask Leon County Sheriff Sergeant Brian Pearson, if he’d located a cell phone at the crime scene? And in turn, Sergeant Brian Pearson answered, Yes. Had Sergeant Brian Pearson answered, no, to State Prosecutor Jack Campbell’s question about the cell phone, then DeShon Thomas’ case would’ve been exonerated. Leon County Sheriff Detective Don Odham set the foundation for 17-year-old, DeShon Thomas, to be charged with Two Counts of Degree Murder. The truth of the matter is Don Odham NEVER worked for the Leon County Sheriff’s Office. Don Odham was a family friend to both Leon County Sheriff Larry Campbell and State Prosecutor Jack Campbell. Had Leon County Sheriff Sergeant Brian Pearson answered, no, to State Prosecutor Jack Campbell’s question about the cell phone, then the deception of Sheriff Larry Campbell and State Prosecutor Jack Campbell would’ve been exposed. Sheriff Larry Campbell allowing a non-employee to impersonate a Crime Scene Detective is illegal. Chief Assistant Georgia Cappleman would not have gotten the Grand Jury to Indict DeShon Thomas using the reports and documents from a “Fake Cop”. Was it smart for State Attorney Willie Meggs to assign Assistant State Attorney Jack Campbell as prosecutor on cases where his dad, Leon County Sheriff Larry Campbell, was the leader of investigating team? Some Leon County Sheriff’s Officials have retired drawing six-figure salaries. So for those who want big pay checks, the decision becomes LIE or patrol parades. Unfortunately, money fuels corruption in a judicial system that claims a person is Innocent until proven Guilty. DeShon Thomas’ mother paid a local defense attorney named, Greg Cummings, nearly $30,000 to represent DeShon. No way does DeShon’s mother have as much money and resources as The Leon County Sheriff’s Office and State Attorney Willie Meggs’ Office. The Leon County Sheriff’s Office and State Attorney Willie Meggs’ Office met with Walter Cole Rayborn and Dawuan Williams, prior to DeShon’s trial.The meeting was to entrap DeShon in a Solicitation to Commit Murder plot against Trentin Ross. Greg Cummings was DeShon’s attorney at the time of the entrapment. However, Greg Cummings had heard that DeShon’s mother was looking to replace him. Greg Cummings got that information from other attorneys whom DeShon’s mother had been consulting. Greg Cummings was fired for a number of reasons—failure to disclose information, failure to communicate, etc. Neither Greg Cummings or DeShon’s court appointed attorneys would accept DeShon’s mother’s offer to hire a private investigator to assist on the case. Nobody whose paycheck came from Florida taxpayers was interested in DeShon Thomas receiving a fair and just trial. Even Greg Cummings, who was registered with the Regional Conflict Counsel’s office, double as a private and public attorney—so he too received a paycheck from Florida taxpayers on a more than regular basis. The presiding judge, Circuit Judge James C. Hankinson, was a former Assistant State Attorney for State Attorney Willie Meggs, as well as an Assistant U.S. State Attorney for Florida’s 1st District Department of Justice located in Tallahassee. After two years as the presiding judge, Circuit Judge James C. Hankinson was replaced with Circuit Judge Jackie Fulford. Again, Circuit Judge Jackie Fulford was a former Assistant State Attorney for State Attorney Willie Meggs. In addition, Circuit Judge Jackie Fulford was a former co-worker of State Prosecutor Jack Campbell. Instead of the two circuit judges presiding ethically and lawfully, they chose to violate DeShon’s basic U.S. Constitutional Rights. For nearly three years, DeShon’s judicial proceedings were more like DeShon Thomas and his family vs. The Blue Wall of Silence. DeShon is INNOCENT. On the TV One popular show Fatal Attraction, Don Odham is shown entering into an Interrogation room on February 4, 2011. Don Odham is in the room with State Prosecutor Jack Campbell’s key witness, Trentin Ross. Don Odham in the Interrogation Room underscores how Don Odham was allowed to Impersonate a detective. During DeShon’s trial, State Prosecutor Jack Campbell and DeShon’s defense attorney, Regional Counsel Director Daren Shippy when questioning witnesses referred to Don Odham as Detective Odham. However, when Don Odham was on the witness stand, State Prosecutor Jack Campbell labeled Don Odham as a Reserve Deputy—a volunteer. According to the Florida County Sheriff’s Association, there is a guideline that Reserve Deputy’s must follow and Reserve Deputies are limited to what they can and cannot do. They must be in official uniform and they may not work as detectives. “Reserve Deputies are to augment full-time law enforcement officials”—not replace full-time deputies working criminal cases. As shown in pictures taken at the crime scene and on the T.V. show, Don Odham is dressed in plain clothes—depicting a detective. Also, during DeShon Thomas’ trial, Don Odham, a wealthy businessman, would not allow his pride to be tarnished. Don Odham NEVER acknowledged being a volunteer deputy. Instead, when asked by State Prosecutor Jack Campbell about being a Reserve Deputy, Don Odham skirted over the question—and then told jurors that he’d been assigned his own patrol car, blah, blah, blah. During DeShon’s trial, Don Odham was limited to “Monkey listen, Monkey Say,” status. While Don Odham may have debuted in Fatal Attraction: Crippled by Blood, Don Odham is no Don Johnson. Don Johnson’s smile is priceless. The only image viewer’s got of Don Odham was the top of his balding head. Don Johnson got paid for his role in the hit series Miami Vice. Don Odham got a group of people to commit criminal acts and Bully an INNOCENT child into prison. Don Odham will NEVER be a bigger man than DeShon Thomas. Never! The New York Times and TV One —Fatal Attraction, Who Would’ve Ever Thought? The year 2014, was a record year for the exoneration of prison inmates across the United States. One hundred and fifty exonerations were registered with the Innocence Project. Some of those prison inmates who were exonerated had spent years on Death Row waiting to be put to death. If it had not been for brave defense attorneys willing to expose gross prosecutorial misconduct and exposure of judges who violate the Constitutional Rights of defendants, then hundreds, if not thousands of innocent prison inmates would still be sitting in prison slowly dying. Prosecutors have wide discretion when it comes to prosecuting cases and sentencing guidelines. There are a lot of plea deals that occur on cases that may not always be beneficial to the defendant. For instances, a defendant who is offered a plea deal, just because the prosecutor has the “power to do so,” does not benefit the defendant. A defendant who commits a heinous crime may need mental health treatment more than just a plea deal. And a defendant who is denied the full ability to exercise his/her Constitutional Rights during their judicial proceedings—a guilty verdict is not justifiable—and does not bring about justice to the victims family. Wrongful convictions occur mainly because of prosecutorial misconduct on the basis that the prosecutor was not transparent during judicial proceedings. Just the thought of being a juror on a case where you convicted an innocent man to a life sentence or a death sentence is disheartening. So now who is to blame? Jurors can only rely on the sources that they received during the judicial proceedings. Most jurors believe that it is mandatory for prosecutors to be transparent during trial. How would you feel if you open up a newspaper or tuned in to the evening news and learned that a man or woman who spent ten years in prison was wrongly convicted? And then you saw that the man or woman was the defendant in the case that you served on a juror and you voted guilty? Now, how would you feel? Your immediate thought would probably be who lied to you or what information was withheld from you and your fellow jurors? The New York Times and TV One are regarded as creditable media sources. They both have thousands, if not millions of faithful subscribers and viewers. As being regarded as creditable media sources, their subscribers and viewers trust them to be transparent in their reporting. Of course there is not a media source that reports on a 360 degree spin, but there’s no need to intentionally “dupe” your audience in to believing that reports are truthful to the best of their knowledge knowing that they’re not. Everyone knows that the opinion of the American people is strong! There are not very many creditable media sources still in existence. So for media source with such a far wide and vast audience—why chose to withhold anything? Especially when the reporting is seeking opinions from subscribers and viewers. On January 4, 2013, The New York Times Magazine published an article by Paul Tullis titled, “Can Forgiveness Play a Role in Criminal Justice?” The article of the event happened in Tallahassee, Florida. Eighteen-year-old Ann Grosmaire’s parent ability to immediately forgive the murderer of their daughter and the impact their forgiveness played in the judicial proceedings of her murderer. In March 2010, the murderer, nineteen-year-old, Conor McBride, walked into the Tallahassee Police Department and confessed to using a shotgun to shoot his girlfriend, Ann Grosmaire. Conor told officers that prior to shooting Ann in the head, the two of them had been arguing. When the police went to Conor McBride’s parent home, where the shooting occurred, the police found Ann lying on the floor, she was barely alive. Ann’s parents kept her on life support. Meanwhile, as Ann was in the hospital without a brain in her head, Ann’s mother went to visit Conor at the Leon County Jail. Assuming the shooting was accidental, Ann’s parents immediately forgave Conor. After Ann was removed from life support, naturally she passed away (one cannot live on their own without a brain). Unnaturally, in an effort to ensure that Conor received a second chance in life, Ann’s parents quickly teamed up with Conor’s parents, as well as Greg Cummings (Conor’s attorney) and the Second Judicial Circuit State Attorney’s Office led by State Attorney Willie Meggs. As he often did with most high profile cases, State Attorney Willie Meggs assigned Conor’s case to Assistant State Attorney Jack Campbell to prosecute. State Prosecutor Jack Campbell informed Ann’s parent that he could reduce charges and seek alternative sentences—possibly five years for manslaughter. State Prosecutor Jack Campbell made arrangements for Conor, who was in the Leon County Jail, to have a physical contact meeting with his parents and Ann’s parents. Ann’s mother was allowed to bring a large framed photo of Ann (the photo was supposed to represent Ann’s presence). A woman named Sujatha Baliga, was flown in from California. Ms. Baliga, a former public defender who specializes in restorative-justice, was brought in by Ann’s parents to moderate the meeting. It wasn’t until the writing was on the wall (during that particular meeting) as to when Ann’s parents learned that Conor’s actions were not accidental—yet, very much so intentional. Ann’s parents learned about things that Conor’s parents, Greg Cummings, and State Prosecutor Jack Campbell had known all along—Conor had a bad temper, and Conor had a history of physically and mentally abusing their daughter, Ann. Never did Conor’s parents inform Ann’s parents about the abuse. When Ann was alive, she hid the abuse from her own parents—who apparently loved Conor as if he were Ann’s husband. State Prosecutor Jack Campbell was not transparent with Ann’s family. Ann’s dad, who was studying to be a Deacon, had been out rallying members of his church and the community to embrace their understanding and reasoning for forgiving Conor and wanting Conor to have a second chance at life. All of those speeches that Ann’s dad gave—and all the while Ann’s family was in the dark about how their daughter cried and begged for her life, before Conor, the boy with a bad temper, pointed the barrel of the shotgun to her face and pulled the trigger. What was Ann’s parent to do, now? 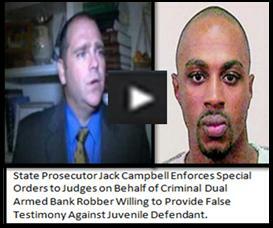 State Prosecutor Jack Campbell offered Conor 20 years in prison plus 10 years probation. Conor accepted the plea deal. Conor McBride, the teenager who blew his girlfriend’s brains out in cold blood with a shotgun, will be back in society before age forty. The article, “Can Forgiveness Play a Role in Criminal Justice?” was popular! There were over 475 comments online. There were several comments from victims of domestic violence denouncing Conor’s sentence and the role “Forgiveness” played in Conor’s judicial proceedings—giving him a second chance at life, despite having taken Ann’s life. Conor was not a juvenile. Conor was an adult who was fully aware of his heinous crime and its consequences. On January 7, 2013, the parents of Anne Grosmaire appeared on the Today Show. Ann’s dad, who was studying to become a Deacon, stood by his forgiveness, but appeared to be struggling with the lost of Ann. On Monday, July 20, 2015, TV One aired an episode of their hit show Fatal Attraction: ‘Crippled By Blood.’ The episode is about events set in Tallahassee, Florida. Full-time Tallahassee Community College freshman, seventeen-year-old, DeShon Thomas, who was convicted of the January 2011 murders of his pregnant ex-girlfriend, 20-year-old, Laqecia Herring and her 17-year-old brother, Sterling Conner Jr. The episode sums up the murders as an “unthinkable tragedy.” DeShon, who also worked nearly forty hours a week at Taco Bell, was at work texting Laqecia asking Laqecia about threats on her life that he’d seen on Facebook. Laqecia had ended the relationship with DeShon months earlier, but they remained friends. DeShon understood that a threat to Laqecia’s life was a threat to his unborn child’s life. In the text message exchange, DeShon asked Laqecia about her brother, Sterling. A month after DeShon was charged with the murders, in March 2011, while waiting to be assigned an attorney, DeShon was charged with Possession of a Firearm by a Juvenile Delinquent. And then in August 2012, while still in the Leon County Jail awaiting trial, DeShon was charged with Solicitation to Commit 1st Degree Murder—informing that DeShon was a Blood gang member. Leon County Sheriff Larry Campbell was the lead investigating agency over the cases. DeShon pled not guilty to all charges. The Fatal Attraction show does not feature anyone directly representing the Leon County Sheriff’s Office. There are two employees with the Second Judicial State Attorney’s Office (State Attorney Willie Meggs’ Office)—and those two are Assistant State Attorney/Prosecutor Jack Campbell and State Attorney Investigator Jason Newlin. Don Odham, a “Pay-to-Play Cop, is shown in the interrogation room with the key witness. What is not depicted in the show is the corruption that riddled DeShon’s judicial process. Several of DeShon’s defense attorneys, both private and court appointed attorney, deliberately withheld exculpatory evidence. There were two Second Circuit Judges who denied DeShon his Constitutional Rights and so on and so forth. Media sources, such as the New York Times and TV One, really should be more responsible when it comes to their reporting. State Prosecutor Jack Campbell, who is highlighted in both18-year-old, Ann Grosmaire’s gruesome murder case and 17-year-old, DeShon Thomas’ wrongful conviction case had a connection that probably no one else in a State Attorney’s Office has—and that is exclusive access to the Leon County Jail and power over the entire Leon County Judicial System, including the judges. The average citizen, the average reader, the average subscriber, the average viewer, was never told that Assistant State Attorney Jack Campbell is the son of Leon County Sheriff Larry Campbell. In the case of DeShon Thomas, Leon County Sheriff Larry Campbell and his son, State Prosecutor Jack Campbell utilized a close family friend named Don Odham, to conspire against DeShon. Don Odham, a “Pay-to-Play Cop,” replaced Lead Detective Melinda McBride and her team of veteran detectives to work the double homicide case. Don Odham, who was referred to as “Leon County Sheriff Detective Don Odham,” was never an employee with the Leon County Sheriff’s Office. However, there are numerous legal documents, including probable cause reports, a formal complaint, along with information that had been presented to the grand jury referring to Don Odham as “Leon County Sheriff Detective Don Odham.” In the Fatal Attraction show, Don Odham is shown in the room with Tom (Trentin Ross) the key witness against DeShon. Leon County Sheriff Larry Campbell as the investigating agency on the double homicide case and his son, State Prosecutor Jack Campbell prosecuting the case is surely bias. The jury was not made aware of the fact that State Prosecutor Jack Campbell’s dad was the signor on the paycheck of every Leon County Sheriff’s Office employee who provided witness testimony. Very few people may care about Leon County Sheriff Larry Campbell and his son State Prosecutor Jack Campbell’s big ego in little ol’ Tallahassee. But everyone knows that if in fact, there was enough evidence to convict DeShon of the crimes in which he has now been convicted then there would be no use for a “Play-to-Pay Cop”. In the Fatal Attraction show, Trentin Ross is seen grasping his chest stating that he is about to have a “heart attack.” Instead of detectives rendering aid or contacting EMT, they continue to pressure him—“Bully” him. Trentin Ross’ incriminating statements are false. DeShon’s mother, who has spent the majority of her life championing for children and young adults to be treated fair and with respect, will continue to support her son. Neither DeShon nor his family will allow any print, online or T.V reporting or dramatic show to hinder their pursuit for justice. The New York Times and TV One are just media sources—creditable media sources…? Author MAUL10Posted on July 26, 2015 Leave a comment on The New York Times and TV One —Fatal Attraction, Who Would’ve Ever Thought? Did Florida Governor ‘Meddle’ in the Double Murder Case Against Tallahassee Community College Freshman, 17-year-old DeShon Thomas? Tallahassee, FL—In 2011, nearly ten months after seventeen-year-old, DeShon Thomas, was charged with Two Counts of 1st Degree Murder and Possession of a Firearm by a Juvenile Delinquent, the mother of DeShon Thomas contacted Florida Governor Rick Scott’s Office in regards to what she believed was disturbing issues of her son’s judicial process. The double murders were being investigated by Leon County Sheriff Larry Campbell. State Attorney Willie Meggs had overlooked forty plus of his other Assistant State Attorneys and assigned his Assistant State Attorney, Jack Campbell, to prosecute DeShon’s case. Jack Campbell is the son of Leon County Sheriff Larry Campbell. Another disturbing issue, DeShon’s private defense attorney, Greg Cummings, whom DeShon’s mother was paying thousands of dollars, had not provided the victims autopsy reports or conducted any depositions on record. These issues and others were definitely hindering DeShon’s case from proceeding through the court. DeShon, who pleaded NOT GUILTY, was sitting in the Leon County Jail awaiting his day in court, with absolutely nothing occurring with his case. In part, DeShon’s mother was seeking a special prosecutor to prosecute the case. With State Attorney Willie Meggs’ son, Wiley Meggs, working as Leon County Sheriff’s Sergeant, maybe State Attorney Willie Meggs was having some issues going after his son’s boss. And commonsense should tell a person that a son should not be prosecuting cases that his dad, an elected official, is directly involved (Sheriff Campbell and Assistant State Attorney/Prosecutor Jack Campbell (really)). In response to DeShon’s mother contacting Governor Scott, DeShon’s mother was told that he (Governor Scott) could not get involved with ongoing criminal investigations. At first, the communication exchange between Mr. D’Alemberte and DeShon’s mother was great! Mr. D’Alemberte was eager to review court documents. After DeShon’s mother sent him documents that she’d obtained from the Leon County Courthouse, it was clear that Mr. D’Alemberte was floored by documents that he’d reviewed. Mr. D’Alemberte truly believed that there had to be something missing from the court documents, something had to be missing. DeShon’s case was nearly two years old and there was nothing more than a court docket and few pages. Mr. D’Alemberte contacted his resources. There were a few other exchanges in communication –and then nothing. The communication between Mr. D’Alemberte and DeShon’s mother was left open end. In retaliation for the August 2012 firing of Greg Cummings, Leon County Sheriff Larry Campbell and State Attorney Willie Meggs charged DeShon with Solicitation to Commit 1st Degree Murder. Circuit Judge James C. Hankinson approved a Summary of Offense for Solicitation to Commit 1st Degree Murder against Trentin Ross that had been prepared by State Attorney Investigator Jason Newlin. DeShon, who was still in the Leon County Jail, was put in solitary confinement and had all of his privileges taken away. Unable to have visitors or call home, DeShon was not able to make arrangements with his mother for another private attorney. DeShon was assigned several court appointed attorneys, whom all immediately filed Motions to Withdraw. DeShon’s case finally settled with Jeff Lewis’ office—1st Regional Counsel. In the Summary of Offense for Solicitation to Commit 1st Degree Murder, State Attorney Investigator Jason Newlin named Dawuan Williams and Walter Cole Rayborn as the Leon County Jail inmates who had direct information about DeShon having plotted to have State Prosecutor Jack Campbell’s key witness in the double murder case, Trentin Ross, murdered. Dawuan Williams, a twice convicted felon, had been delivered to the Leon County Jail by the Southeast Regional Task Force and the Tifton County Sheriff’s Office in Georgia, on two warrants in Tallahassee for robbing two banks. Shortly thereafter, Dawuan Williams was introduced to DeShon. Dawuan Williams was immediately provided with his freedom and money from the Leon County Sheriff and State Attorney’s Office. After Dawuan Williams followed instruction by both the Leon County Sheriff’s Office and the State Attorney’s Office, Dawuan Williams disappeared into society. In less than six months of being released from the Leon County Jail, Dawuan Williams was arrested in a neighboring county for Armed Home Invasion Robbery with Kidnapping and other charges. Dawuan Williams is currently facing more than fifty years in prison. Upon Circuit Judge Jackie Fulford presiding over DeShon’s case, Judge Fulford did not disclose to the court that she is a close family friend of Walter Cole Rayborn’s family. Walter Cole Rayborn, a convicted felon with a lengthy arrest record, was recently named in the execution style double murder of two young men in Tallahassee. The victims, Cornelius Poole and Lance Love, where found in a bathtub—they’d been bound and shot in the head. They there was an attempt to set the apartment (Lance’s) on fire. Walter Cole Rayborn’s court documents show that he was constantly given special treatment by the court and the Leon County Sheriff’s office in spite of the seriousness of his offenses. Author MAUL10Posted on July 22, 2015 1 Comment on Did Florida Governor ‘Meddle’ in the Double Murder Case Against Tallahassee Community College Freshman, 17-year-old DeShon Thomas? Are Florida Legislators, Florida Governor and Florida Attorney General Content With Use of Prosecutorial Misconduct? A public office is a public trust. The people shall have the right to secure and sustain that trust against abuse. Article II Section 8. Constitution of the State of Florida: No man can serve two masters. A situation which “tempts” to dishonor. NO MAN CAN SERVE TWO MASTERS. A SITUATION WHICH “TEMPTS” TO DISHONOR. Too many Black youths have been sent to Florida prisons based on criminal investigations that were handled by the late Leon County Sheriff Larry Campbell, and then handed over to Second Judicial Circuit State Attorney Willie Meggs and then assigned to be prosecuted by Assistant State Attorney Jack Campbell (Sheriff Larry Campbell’s son). This assignment of cases to be prosecuted by State Attorney Willie Meggs widely opened the door for Assistant State Attorney Jack Campbell and all of Sheriff Larry Campbell’s employees within the Leon County Sheriff’s Office—to serve two masters—putting these individuals in a position that may tempt them to dishonor their responsibilities. Although the State Constitution refers to people elected to public office, no elected official should initiate such biasness. For over fifteen years defendants and employees of Sheriff Larry Campbell endured this type of injustice and demoralization. State Attorney Jack Campbell filed complaints with Internal Affairs against Leon County Sheriff’s Deputies when they did not cooperate with his terms. Defense attorneys all over the state of Florida have argued this biasness in Leon County Courtrooms, only to be ruled against by 2nd Circuit and Leon County Judges. In most cases, some of the judges (both Circuit and County) were former employees of State Attorney Willie Meggs, hence, former colleagues of State Prosecutor Jack Campbell. Family members of defendants have sought out some form of intervention or change of prosecutor due to the obvious bias—to no avail. Second Circuit Judges, Leon County judges, and other government officials refused to intervene. In the majority (if not all) of the cases where Leon County Sheriff Larry Campbell held investigative jurisdiction that were then prosecuted by State Prosecutor Jack Campbell, most of State Prosecutor Jack Campbell’s witnesses were Leon County Sheriff’s detectives, deputies and other employees who were given the “Green Light” to commit perjury—“Help” Sheriff Larry Campbell’s son get convictions. It is a fact that State Attorney Willie Meggs and the Leon County Sheriff’s Office Internal Affairs Division are responsible for bringing charges against law enforcement officers who commit perjury. In a judicial family formation with the Campbell’s and the Meggs’, nobody—neither ordinary citizens nor law enforcement officials are safe. “No man can serve two masters. A situation which “Tempts” to dishonor.” Law enforcement officials with the Leon County Sheriff’s Office have been repeatedly put in positions to dishonor their badge. Are Florida Legislators “Content” with State Attorney Willie Meggs and Assistant State Attorney Jack Campbell giving deputies the “Green Light” to commit perjury? In June 2015, Governor Rick Scott signed his first executive order to reform prisons in Florida. However, over three hundred prisoners have died in Florida’s prisons a.k.a. “Death Camps.” Many correctional officers in Florida have attempted to speak out against the harsh practices within prisons. Many correctional officers are in fear of their superiors. There are correctional officers who have committed suicide after being Indicted on charges of inmate abuse. It’s a culture that most correctional officers must be abusive or outcasts. There are several correctional officers who have been linked to White Supremacy groups. While other states across America are forming task forces to combat prison abuse of inmates by correctional officers and to investigate possible wrongful convictions, Governor Scott’s executive orders does not form any task force to address these issues. Governor Scott’s executive orders leave prison reform in the same agency that turned a blinded eye to the hundreds that were murdered in prison, the Department of Corrections. (The wolf guarding the hen house.) Is Governor Rick Scott “Content” with inmates dying in prison due to abusive correctional officers? Is Governor Scott “Content” with inmates being convicted wrongfully due to prosecutorial misconduct? In April 2011, Orlando Sentinel columnist, Scott Maxwell, wrote a column that brought favorable attention to Pam Bondi, who was then the Republican candidate running for Attorney General. The article titled, “Tackling wrongful convictions—will Bondi keep her word?” quotes Pam Bondi as vowing to be “a crusader for justice.” The article goes further stating Bondi specifically, “promised to do more than her predecessors about Florida’s shameful record of wrongful convictions—a growing problem that costs taxpayers money and the victims decades of their lives.” Pam Bondi won the Attorney General race. In September 2014, Mr. Maxwell wrote about his “buyer’s remorse” for having supported Pam Bondi in 2011. In the article titled, “Pam Bondi played games with executions, convictions and donations,” Mr. Maxwell outlines the various actions that Attorney General Pam Bondi reneged on, including investigating a string of wrongful convictions. Pam Bondi is not a crusader for justice. When seventeen year-old DeShon Thomas’ mother repeatedly contacted Attorney General Pam Bondi about acts of corruption that was preventing her son’s case from proceeding through the Leon County Judicial System, Attorney General Pam Bondi’s response was to contact the Federal Bureau of Investigations. In 2011, Leon County Sheriff Larry Campbell charged DeShon with Two Counts of 1st Degree Murder and Possession of a Firearm by a Juvenile Delinquent. DeShon plead NOT GUILTY. As DeShon sat in the Leon County Jail awaiting trial, DeShon’s mother took notice that DeShon’s case process was distorted—absolutely nothing was happening—no depositions, nothing. In 2012, what DeShon’s mother’s didn’t realize at the time of contacting Attorney General Pam Bondi was that Ms. Bondi, herself, was being investigated for violating at least one of the same problems that was hindering DeShon’s case from proceeding through the judicial system. Both Attorney General Pam Bondi and Governor Rick Scott were facing charges for violating Florida’s Public Records law. According to the flow chart, it was up to State Attorney Willie Meggs to bring charges against Governor Scott and Attorney General Bondi. (CRIMINALS PROTECTING CRIMINALS! THE FLOW CHART IS EXACTLY WHY LAW ENFORCEMENT OFFICIALS IN TALLAHASSEE/ LEON COUNTY FEEL “BOXED IN”—THEY HAVE NO PROTECTION) In part, DeShon’s mother complained that after having paid defense attorney, Greg Cummings nearly $30,000, over the span of sixteen months to represent her son, Greg Cummings, State Prosecutor Jack Campbell and Circuit Judge James C. Hankinson were conspiring against DeShon. In part, State Attorney Willie Meggs and State Prosecutor Jack Campbell, the son of Leon County Sheriff Larry Campbell, refused to allow the District Two Medical Examiner’s Office to release to DeShon and the public, the victims’ autopsy reports—which is a violation of Florida’s Public Records law. (A 17-year-old kid that is in an adult jail, facing his lifetime in prison if convicted, he’s named as the only suspect, and State Attorney Willie Meggs and the prosecutor, Jack Campbell, refuses to allow the medical examiner’s office to release the victims autopsy reports—and—his defense attorney Greg Cummings—refuses to discuss the autopsies with him and refuses to file the autopsies with the court to make them public record.) After Greg Cummings was fired from DeShon’s case, State Attorney Willie Meggs and State Prosecutor Jack Campbell still would not allow the victims autopsy reports to be released. DeShon, who at the time of his arrest was a freshman at Tallahassee Community College and working at a fast food restaurant, had no reason to want the victims, 20-year-old, Laqecia Herring and her 17-year-old brother, Sterling Conner Jr. murdered. Laqecia was pregnant at the time of her murder. Prior to Laqecia’s murder, she’d named DeShon and another young man as the father of her unborn baby. Leon County Sheriff Larry Campbell held investigation jurisdiction over the double murders, citing DeShon wanted Laqecia to have an abortion. DeShon’s mother, along with many Americans and citizens abroad believe that if Leon County Sheriff Larry Campbell and State Attorney Willie Meggs together had the evidence to prove that DeShon Thomas was the cold-blooded murderer of his pregnant ex-girlfriend and her brother, then Mickey Mouse could’ve prosecuted the case and gotten a conviction. But since Leon County Sheriff Larry Campbell and his son were paired together, State Attorney Willie Meggs, who has a staff of over forty Assistant State Attorneys over six counties, would not separate Assistant State Attorney Jack Campbell from his dad, Leon County Sheriff Larry Campbell. The father/son team had to stay together. And this father/son team was supported by Circuit and Leon County judges, who were determined to make sure State Prosecutor Jack Campbell convicted DeShon, a child—no matter what the cost. The Innocence Project stated that in 2014, The National Registry of Exonerations recorded 125 exonerations in America. Of the 125 exonerated, only 2 were exonerated in Florida. Has the “Greed” of money and power in Florida’s political arena so desperate, so EVIL that sentencing an innocent 17-year-old to prison for the rest of his life and blatantly robbing his single mother of thousands of dollars, considered to be ok? Is everybody in politics and judicial officials ok with that? Is Regional Counsel Jeff Lewis ok with his 2nd Circuit Director, Regional Counsel Daren Shippy, filing subpoenas with fictitious names on them in an attempt to conceal a witness from his juvenile client and the courts? DeShon was 17-years-old when his life was turned upside down. DeShon was sentenced to Two Life Sentences plus 30 years. DeShon just recently spent his fourth birthday in custody (3 birthdays in the Leon County Jail and 2 birthdays in State Prison). Now, at twenty-two years, DeShon continues to grow in Christ and continues to maintain his INNOCENCE. (Was Christ not wrongfully convicted and crucified?) Today, as the Regional Counsel’s Office casually Waltz dance with DeShon’s appeal, DeShon and his family knows that justice will prevail. Since DeShon’s incarceration, the Criminal Justice System is being shaken like it’s NEVER been shaken before—by both political parties. Recently, President Obama stated that he’d called on Iran to release all four Americans being held as prisoners. The families of Jason Rezaian, Saeed Abedini, Amir Hekmati, and Robert Levinson have expressed to the world about their loved on being held in Iran’s prison for more than over four years on trumped up charges. The family of DeShon Thomas understands the four families feelings of turmoil. The only difference—DeShon Thomas’ family is being intimidated and threatened right here in the United States by their own local government officials—out of Florida’s capital city—Tallahassee. DeShon and his family are sickened by the blatant LIES and EVIL by adults in authority. Sadly, the corruption and greed of the Criminal Justice System on the state level, including Florida, which makes the United States Criminal Justice System look weak. Former President Bill Clinton admitted that when it comes to the Criminal Justice System during his time in office, he made a “mistake.” Not realizing the bill that he signed was going to cause law enforcement agencies and courts on the local level to “Run Wild” and turn inmates–prisons into high profit businesses. DeShon Thomas is not the first child to be wrongly convicted on double murder. In 1944, the State of South Carolina, convicted and executed fourteen-year-old, George Stinney Jr. for murdering two preteen white girls. George Stinney Jr. was the youngest to ever be executed in the United States. Over sixty years later, in 2014, George Stinney Jr. was exonerated. Although the Supreme Court has halted the death penalty of youths, as well as life in prison sentences, are Florida Legislators, Governor Rick Scott and Attorney General Pam Bondi content with allowing corruption to occur in Florida’s courtrooms? Author MAUL10Posted on July 21, 2015 July 24, 2015 Leave a comment on Are Florida Legislators, Florida Governor and Florida Attorney General Content With Use of Prosecutorial Misconduct? Tallahassee, FL—Ask current appointed Leon County Sheriff Mike Wood anything about his late boss, the late Leon County Sheriff Larry Campbell, and more than likely he will give all positive answers. Surprised? Of course not. In the months (if not years) prior to Sheriff Larry Campbell’s death, Sheriff Campbell pre-planned for Sergeant Mike Wood to be his Undersheriff. In June 2014, Sergeant Mike Wood had retired from the Leon County Sheriff’s Office after finishing the Deferred Retirement Option Program also known as D.R.O.P. The D.R.O.P. program is a state retirement program that some people criticize because it gives certain government officials the opportunity to receive six-figure salaries during their retirement and then return to work after six months and earn a regular paycheck on top of their retirement. On December 24, 2014, media reports stated that Leon County Sheriff Larry Campbell died of Cancer. Following Sheriff Campbell’s death, Governor Rick Scott first appointed Captain Robert Swearingen as Leon County Sheriff. Just as Captain Swearingen began to enjoy his newly appointed job position, Governor Scott turned and appointed Mike Wood, who was retired, as Leon County Sheriff. Where was Leon County Sheriff Larry Campbell when his deputies were being shot down in the streets like wild animals? The gunfire ambush of Leon County Sheriff’s Deputy Chris Smith and Leon County Sheriff’s Deputy Colin Wulfekuhl could have been prevented. Instead of the Leon County Sheriff’s Office admitting that they fell short in their communications process, Sergeant Wiley Meggs, the son of 2nd Judicial Circuit State Attorney Willie Meggs, blamed the dispatch service. State Attorney Willie Meggs, who is in charge of prosecuting criminal cases in Leon County, was all onboard for blaming dispatch workers and not show a shred of blame toward his son, Sergeant Wiley Meggs. While it was natural for fathers to protect their sons and vice-versa (sons to protect their dads), it was not natural for a county sheriff to be absent for over 24 hours following a gunfire ambush of his deputies and Tallahassee first responders. Leon County Sheriff Larry Campbell did not speak publicly or hold a press conference until over twenty-four hours after Deputy Chris Smith and Leon County Deputy Colin Wulfekuhl’s blood poured out onto the Leon County street that they faithfully patrolled. When Leon County Sheriff Larry Campbell finally appeared in front of news camera, Sheriff Larry Campbell’s appearance was frail and his speech was slurred. Sheriff Campbell looked like someone had dressed him—attempted to clean him up for the cameras. If in fact Sheriff Larry Campbell’s health was failing and he could no longer perform his duties as sheriff effectively due to either his failing health or the side effects of the medication he was consuming to treat his Cancer diagnosis, then Sheriff Larry Campbell should’ve been more thoughtful and put the safety of his deputies and the citizens of Leon County above all else and stepped down as sheriff. The citizens of Leon County elected Larry Campbell to immediately protect and serve them. Not to pretend to protect them and then speak to them at his convenience. Deputy Chris Smith was murdered because Leon County Sheriff Larry Campbell was selfish and would do anything and everything to have it his way—even if it meant putting his deputies and the citizens of Leon County at risk of becoming victims of crime. Many people in the community (in the Black community) have distaste for Leon County Sheriff Larry Campbell. Sheriff Larry Campbell’s repeat election winnings only symbolize the fear and the intimidation that many people in Leon County truly felt for more than fifty years. Although Sheriff Larry Campbell was the active sheriff for less than twenty years, Larry Campbell had been involved in the local law enforcement arena for more than thirty years. Second State Attorney Willie Meggs’ son, Wiley Meggs and Wiley Megg’s wife, worked as deputies for Leon County Sheriff Larry Campbell. Sheriff Larry Campbell’s son, Jack Campbell, works for State Attorney Willie Meggs as an Assistant State Attorney/Prosecutor. For far too many years Tallahassee’s Judicial System has been run by these “crime families.” State Attorney Willie Meggs has six counties all located in the Florida panhandle under his jurisdiction. State Attorney Willie Meggs repeatedly (if not exclusively) looked over his forty plus Assistant State Attorneys only to appoint Assistant State Attorney Jack Campbell to prosecute criminal case in that his dad, Leon County Sheriff Larry Campbell, held investigative jurisdiction and manned the jailhouse where defendants were housed until their trial. Assistant State Attorney Jack Campbell would get judges to sign frivolous search warrants, probable cause reports and arrest warrants. Leon County Sheriff Larry Campbell and his son, Assistant State Attorney Jack Campbell, along with State Attorney Willie Meggs filed documents containing false information with the courts. In some cases, Leon County Sheriff Larry Campbell and Assistant State Attorney Jack Campbell recruited a wealthy friend by the name of Don Odham to act as a Leon County Sheriff’s Detective. Don Odham’s actions on several criminal cases denied justice to many families and caused many deputies to commit perjury to cover up for Sheriff Campbell and Assistant State Attorney Jack Campbell’s criminal acts. In 2011, a team of veteran detectives with the Leon County Sheriff’s Office began investigating the double murder of a sister and brother in southwest Tallahassee, seeking to connect 17-year-old, Tallahassee Community College student, DeShon Thomas to the double murders. When their investigation began to turn away from DeShon Thomas, as being the murderer, Leon County Sheriff Larry Campbell positioned his wealthy friend, Don Odham, as lead detective. Leon County Sheriff Larry Campbell replaced the team of veteran detectives with Don Odham. Veteran detectives stated that “Detective” Don Odham was not truthful in his reports and was a “Disgrace to the badge.” Leon County Sheriff Larry Campbell replacing a team of veteran detectives with a non-deputy, a non-detective, a non-member of the law enforcement family had to be demoralizing to those veteran detectives/deputies who have worked so hard and are committed to their badge and the community that they serve. Former Leon County Sheriff’s Deputy David Graham had received Deputy of the Year award in 2011, for his outstanding and impressive accomplishments over the span of his career. In 2012, Leon County Sheriff Larry Campbell filed numerous criminal charges against Deputy David Graham. It was stated by a source that shortly before Leon County Sheriff Larry Campbell filed charges against Deputy David Graham, Sheriff Larry Campbell learned that Deputy David Graham had authored several anonymous letters that had been emailed to a Tallahassee blogger exposing corruption, racism, unethical and unlawful practices directly in Sheriff Larry Campbell’s office. Following the criminal charges, Deputy David Graham was fired from the Leon County Sheriff’s Office. Not long thereafter, David Graham’s wife was also charged with crimes. David Graham was exonerated at trial. His wife did not go to trial. Several Tallahassee families have become victims after Leon County Sheriff Larry Campbell allowed his wealthy friend, Don Odham, to act as a Leon County Sheriff’s Crime Scene Detective and Lead Homicide Detective. Sheriff Larry Campbell’s deception to families of crimes only tainted families’ chances for justice. In some cases criminal charges were not filed and in other cases defendants were wrongly convicted. Leon County Sheriff’s Office Internal Affairs Director Captain Todd McKissack, has yet to respond to complaints that he’d received in regards to several deputies who committed perjury and smuggled contraband into the Leon County Jail. It was not unusual or impossible for Sheriff Larry Campbell and his son, Assistant State Attorney/Prosecutor Jack Campbell to run the Leon County Jail like it was their own residence. Many Leon County citizens have stated that Leon County Sheriff Larry Campbell refused to hold deputies accountable after they were accused of Domestic Violence. Seemingly, deputies beating their wife or girlfriend were acceptable at the Leon County Sheriff’s Office. Seemingly, Leon County Sheriff Larry Campbell kept those whom he knew owed him dearly close by his side. Which takes us back to Sergeant Mike Wood. The Leon County Sheriff’s Office is where Sergeant Mike Wood started his career over thirty something years ago. Prior to becoming a Leon County Sheriff’s Deputy, Mike Wood had gotten busted for drugs. Not very many people who get busted for drugs can go on to have a career in law enforcement and then earn six-figures in retirement and six-figure in a paycheck all at the same time. Let alone get appointed to be sheriff by the governor. Sheriff Mike Wood owes Leon County Sheriff Larry Campbell, dearly. If Mike Wood is the “Best Man” to replace Leon County Sheriff Larry Campbell as sheriff, then what does that say about all of the other deputies—including those that were on Leon County Sheriff Larry Campbell’s Command Staff? Sheriff Larry Campbell severely deceived the citizens of Leon County—Tallahassee citizens. Leon County Sheriff Larry Campbell is a CRIMINAL. Any building, statute, street, pothole or garbage landfill named after the late Leon County Sheriff Larry Campbell will only remind the citizens of Leon County—the citizens of Tallahassee—of a time when fear, corruption, racism, intimidation and deception plagued the Leon County Sheriff’s Office and Tallahassee communities. History will show that Sheriff Larry Campbell was nothing more than a total “Disgrace” to the badge of law enforcement officials and a “Disgrace” to the community of Leon County. The people of Charleston, South Carolina and many cities and states across the south have significantly rid their communities of Confederate Flags. It’s just a matter of time before the people of Florida—particularly those in Tallahassee—will rid their communities of people like the late Sheriff Larry Campbell, his son, Assistant State Attorney Jack Campbell, 2nd Judicial Circuit State Attorney Willie Meggs, 2nd Circuit Judge Jackie Fulford and everyone else whose unlawful acts hinder Floridians from moving forward in culture, peace, love and prosperity forever.